While it was expected that Red Dead Redemption 2 would outperform its predecessor, it’s unlikely that anyone could have predicted the sequel would actually outsell the original in just over a week. 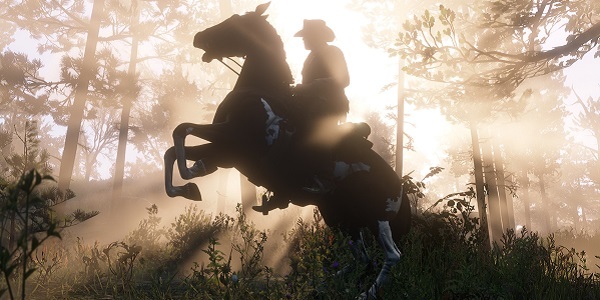 But after just eight days, RDR2 has sold more than 17 million copies worldwide, adding to its growing number of achievements. What’s important to keep in mind here is that the original Red Dead Redemption was itself a resounding success for Rockstar Games and publisher Take-Two. While industry analysts like Michael Pachter originally thought the first Red Dead Redemption would be a misstep for Rockstar following the success of Grand Theft Auto 4, they had themselves a heaping helping of crow after the game started flying off of the shelf. We make that point only to clarify how big this news is for Red Dead Redemption 2. It’s not like its success is being compared to a moderately well-received game. The original Red Dead Redemption has sold an insane number of copies over the past eight years and now the follow-up has gone on to surpass it in just eight days. This pace was set early on when we learned that Red Dead Redemption 2 made a whopping $725 million during its first three days on the market. As Variety reminds us, that meant that Roackstar’s new game enjoyed the most successful “opening weekend” for any media, including movies. By comparison, the most successful opening weekend for films is The Avengers: Infinity War, which brought in about $641 million worldwide earlier this year. That means Red Dead earned damn-near $100 million more than the most successful Marvel/Disney film of all time, which ain’t too bad for an industry some still try to argue is dying. It’s also worth noting that Red Dead Redemption 2 had some negative buzz surrounding it heading into launch due to the revelation that Rockstar staff members were putting in some rather hefty hours for crunch. Despite that fact, Variety is reporting that Take-Two Chairman Strauss Zelnick does not believe those revelations had an impact on game sales. This is not meant as a commentary on the industry or individuals buying the game, just a statement of fact that the game sold insanely well even amidst the crunch news that took over the industry news cycle for a good week. Looking ahead, it seems likely Red Dead Redemption 2 will continue to break records. The holiday season is upon us, which will likely mean another spike in sales as the new Western appears on plenty of wish lists. Also, Red Dead Redemption Online is expected to go live at the end of November, which will likely only increase the game’s staying power. And if Rockstar continues to support RDR2 like they’ve supported Grand Theft Auto V over the past eight years, it seems like the sky is limit for the Van der Linde gang.